He is the most wanted male star in his 20s, He is the most upright young male star and a mark for success. These are some facts mentioned often when speaking of Lee Seung-gi. He's already been in the industry for 11 years. He still has the 'national brother' image but he's not always in the same spot. He started off as a singer and has never lost game as an actor for 11 years. 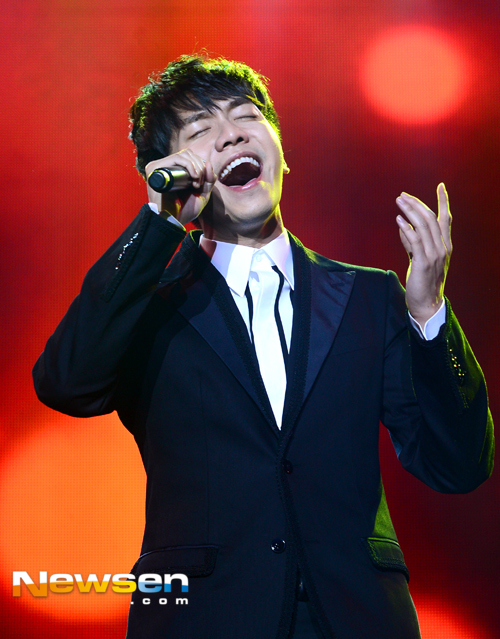 Now he is back as singer Lee Seung-gi. Lee Seung-gi is back with an album for the first time in 2 years and 7 months. His recent title "And Goodbye" is currently sweeping off the charts. His achievement stands out more because he beat the idols Big Bang and EXO. There were those who worried about his comeback. He had been away for 2 years and 7 months and they worried that he would have to compete with strong competitors like Big Bang and EXO. However, Lee Seung-gi did it. It was very likely of him. He got on stage expecting internal stability rather than external and he maximized his merits. Lee Seung-gi is known as a very young and intelligent star. He knows exactly where he stands and where he shines. He doesn't always want to stand out like others and maybe that's where he actually stands out. He knows how to appeal his advantages and is always ready for a risk. His efforts paid off with the success of his album. He didn't even seem interested in competing with younger idols. His plan to sing and win worked. Lee Seung-gi has been busy with dramas, movies, music and advertisements. He's grown so much in the meanwhile and his singing voice has become more affectionate and deeper. His growth is natural and that's what makes him shine. The question is, why is he Lee Seung-gi? On the SBS TV show "Inkigayo" he said, "11 years has been a flash and I've gotten older. I thank the fans that waited for me until now and I hope this is a great gift to you". There's no one much older than Lee Seung-gi in the current music industry now. He's grown so much. The fans are proud of him but listening to "And Goodbye", he's not even close to coming to an end. He's got his own musical color and he's out with his 6th album. "What makes Lee Seung-gi, Lee Seung-gi?"